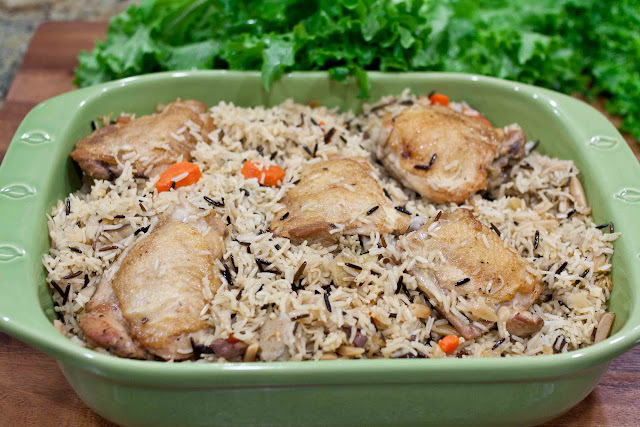 When I was a little girl, Chicken & Wild Rice Pilaf was one of my favorite dishes. I asked my mom if she remembered how to make it or if she had a recipe, she said no to both. I remembered some of the ingredients--it had a package of Lipton's Chicken Noodle Soup in it along with wild and white rice, artichoke hearts and green olives--which I later remembered were pimento stuffed green olives. I also remember Mom cooked it in the oven and she cut up a whole chicken for the recipe. Sometimes when I get it into my head to make something, I don't always have all the ingredients and I'm not one to run to the store just to get them. I only had chicken thighs, so I used those instead of a whole fryer. I made it for dinner and then made it again the next morning so I could take some to my parents since Mom and I talked about the recipe and the dish is a childhood memory of mine. I made it two ways, in the oven the first time, and on top of the stove the second time--the first time with carrots, the second time without. The one on top of the stove came out better, the rice cooked in the oven could have used a little more water. Brown the chicken on both sides in a tablespoon of oil and drain on paper towels. Don't worry if it's not completely done, it will cook thoroughly when you put it back into the pot later. This made such a mess on the stove--the splatter! When I made it again, I made it in a deep dutch oven--the oil didn't splatter but the chicken stuck to the pot. 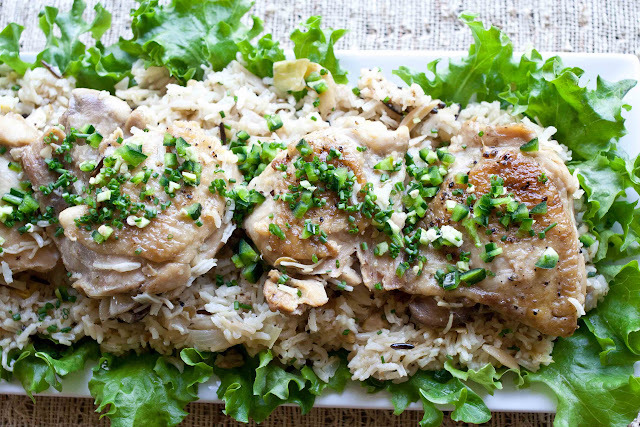 Figuring out what's the best way will come with experience--the best way may be simply to serve the rice pilaf on the side and cook the chicken separately--but it was very tender. Drain the fat from the pot and discard. Add a tablespoon of olive oil and saute the onion and celery until wilted. 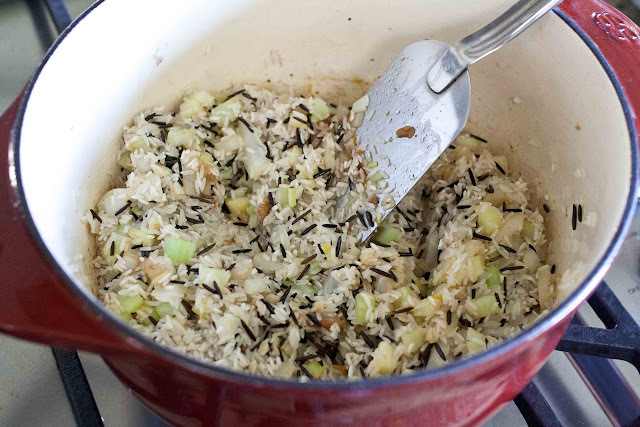 Then add the white and wild rice and the envelope of Lipton's Chicken Noodle Soup--fry the rice for a few minutes over medium heat until lightly browned. Add 3 1/2 cups water, 2 tablespoons slivered almonds, 1 cup marinated artichoke hearts cut into bite-sized pieces and 1/4 cup sliced pimento stuffed green olives. 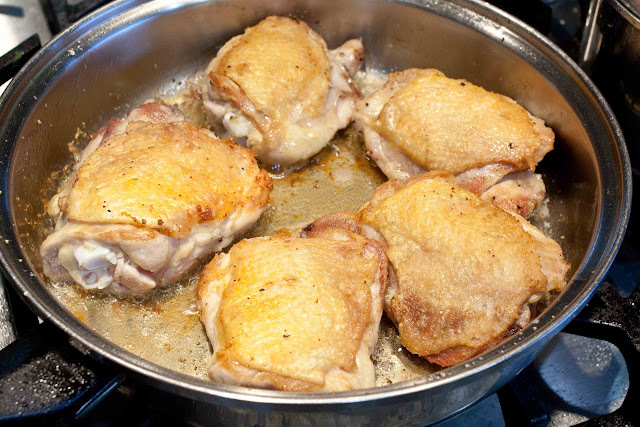 Bring to boil and place the chicken on top, cover, reduce heat and simmer on low for 45 minutes. Turn off heat and let steam for 10 more minutes. I took this platter to my parents for lunch. 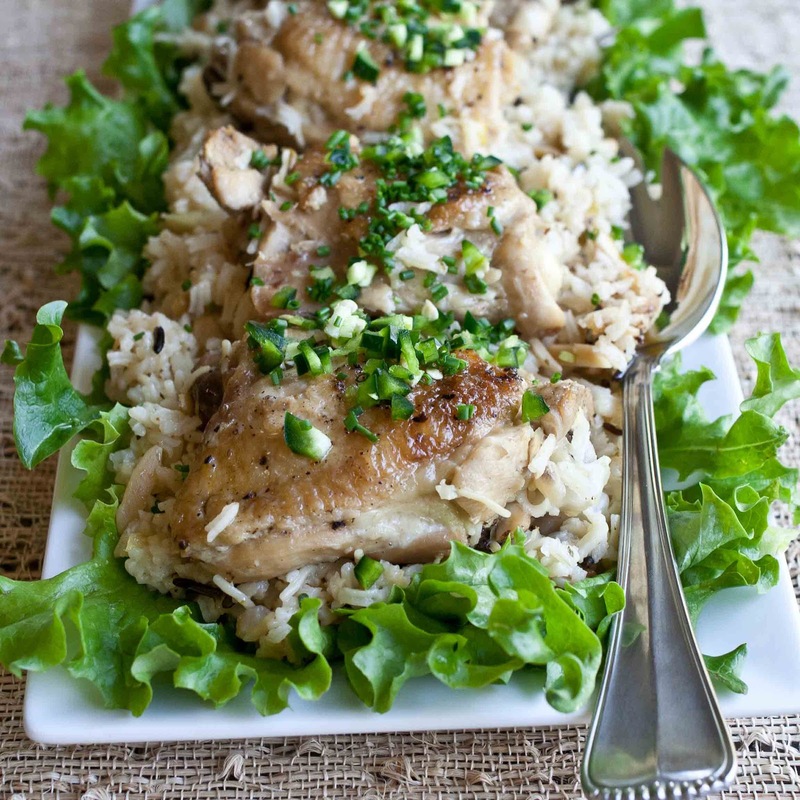 I put down some curly endive that my dad grew on a long platter, scooped some rice on top of the endive, then the chicken--garnishing it with chopped chives and jalapeños. Mom & Dad love spicy food. When I was young, the Japanese community was a big part of my family's life. 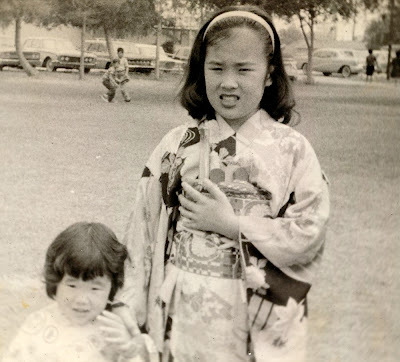 I didn't understand the importance of the shared experience and commonality of my parents generation then, but I appreciate their efforts in building a Japanese-American community for all of us to grow up in now. 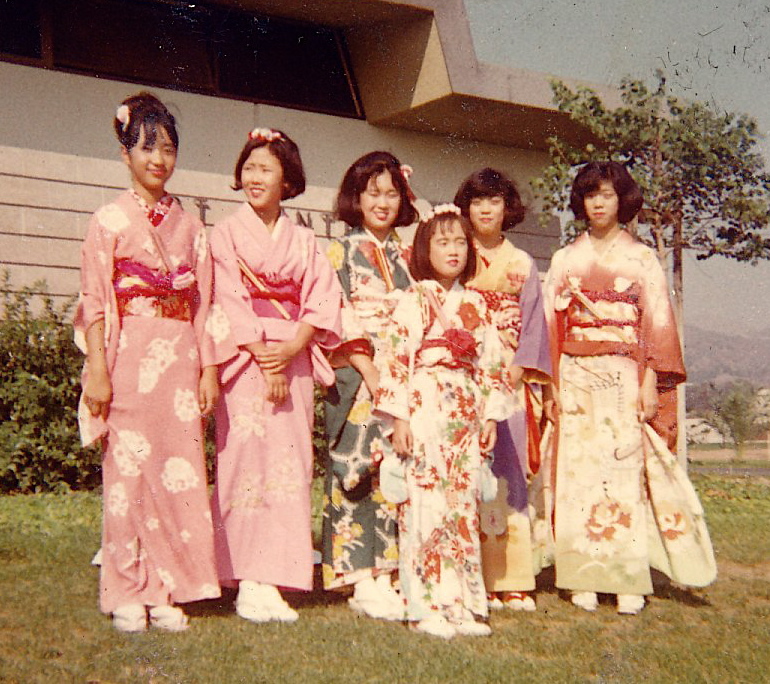 When I was young, the year generally began with a New Year's party with my grandparents' Japan home-town club, summers were filled with various organization's picnics, and during the fall there were fun-filled carnivals. To me, the Japanese community as I knew it consisted of basically these people. Mrs. Ikeda, in the white jacket, taught Japanese school and was so nice. 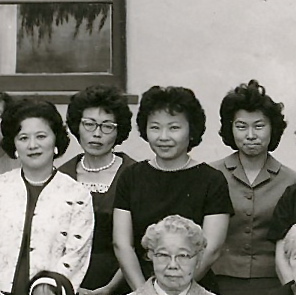 Mrs. Sechi, next to her, was an amazing seamstress and now is my mother-in-law's friend--they spoke on the phone just last week when I was visiting. Mrs. Mita, on the right, has been my mother's friend for as long as I can remember, and they used to play golf together every week. Mrs. Hatakeyama is the woman in black and she taught us Japanese dancing--odori. 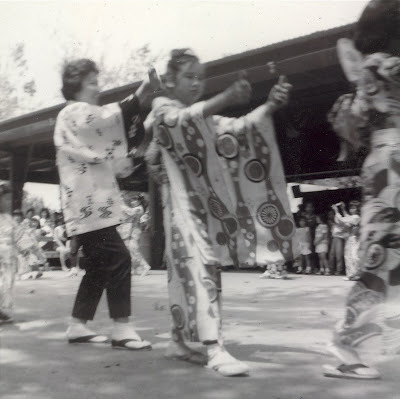 We danced at picnics the ESGV Japanese Community Center had each summer. I think I'm about 9 in this photo and my sister Margaret must be about 3. 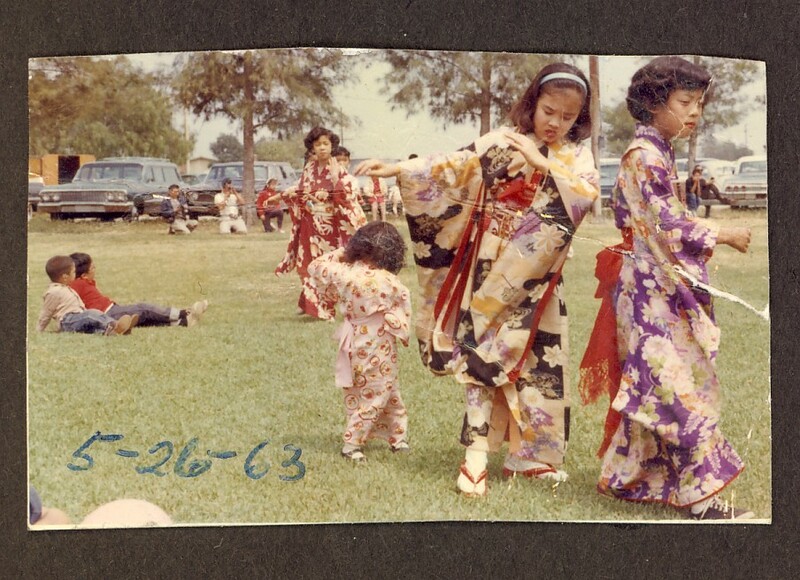 We'd learn the dances from Mrs. Hatakeyama during practices we'd go to for several weeks before the picnics. In front of me and behind me are my friends Cherie and Laura. They're the ones I made Peanut Butter & Jam Mochi with. 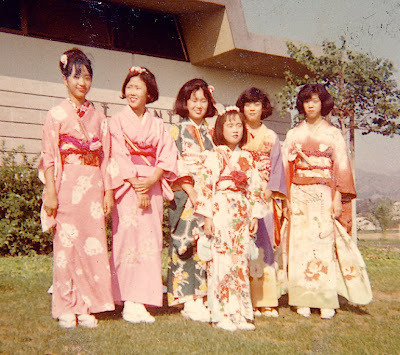 It was fun to get dressed up in kimonos. 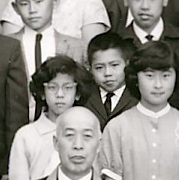 That's Mrs. Hatakeyama behind me. Later, when we were in high school, we danced at different places around the community. 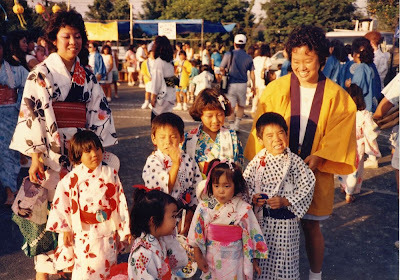 Here's a picture of Laura, me, and our kids getting ready to dance at the Obon festival--our oldest kids are now approaching...30! My whole life, I've learned the Obon dances from Mrs. Hatakeyama. 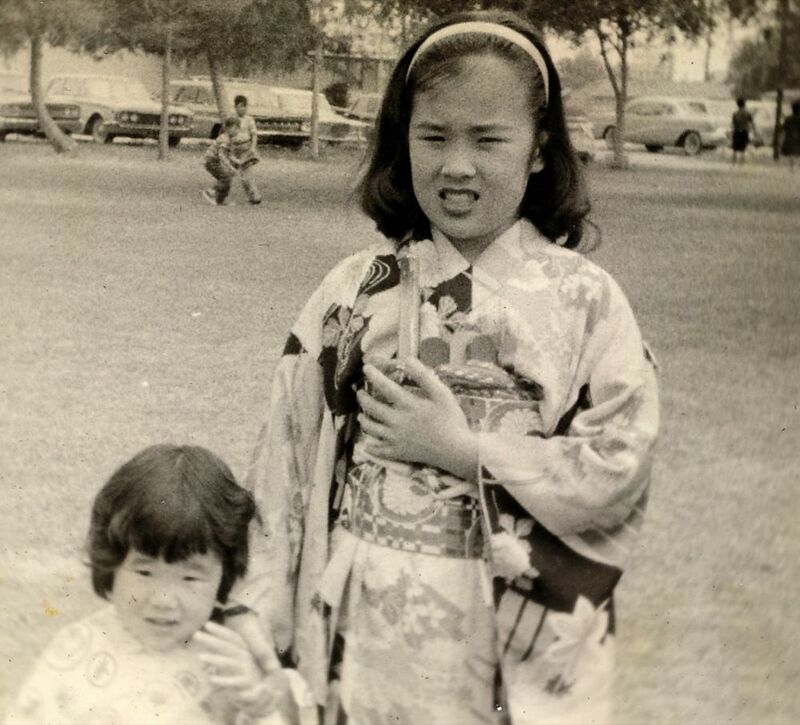 I hadn't danced at the Obon for several years and Laura and I decided we would dance that year in honor of our childhood friend Arnold, who had died the year before from cancer. Arnold's in the old photo, too, next to Laura. 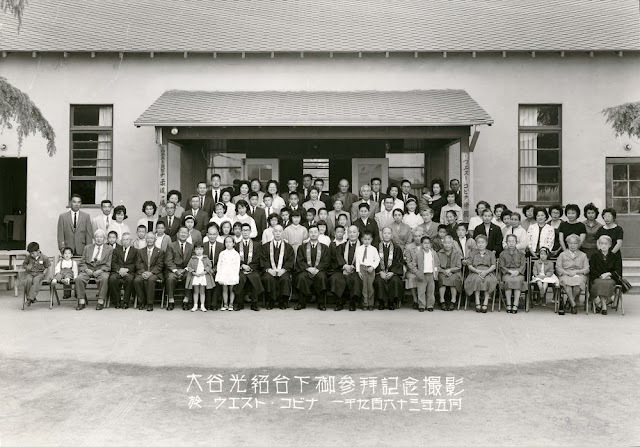 When I went to practice the dances, Mrs. Hatakeyama was no longer the teacher. I knew she had an assistant, Jen's been teaching with Mrs. H for years and years, but I was surprised not to see Mrs. H there and found myself really missing her familiar instruction. 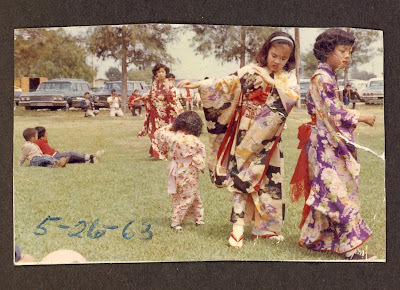 It felt good to be dancing the Bon dances again, some were the same and it seemed like my feet and hands knew what to do when the familiar music began, but most of the dances were new and it was tougher to get them right than I remember. I'm so thankful Stephanie Jitosho took me under her wing and patiently taught me the steps. I really missed Mrs. H's instruction--Jen is a really fun teacher and has a great personality which I adore--I've known her forever too--but it wasn't the same without Mrs. H.
In any organization I have been involved with as an adult, from St. Matthew's Nursery School--to PTA when Rick & Karen were in elementary school and middle school--to the ESGVJCC board--there were always those individuals that go above and beyond to volunteer their services to the community. 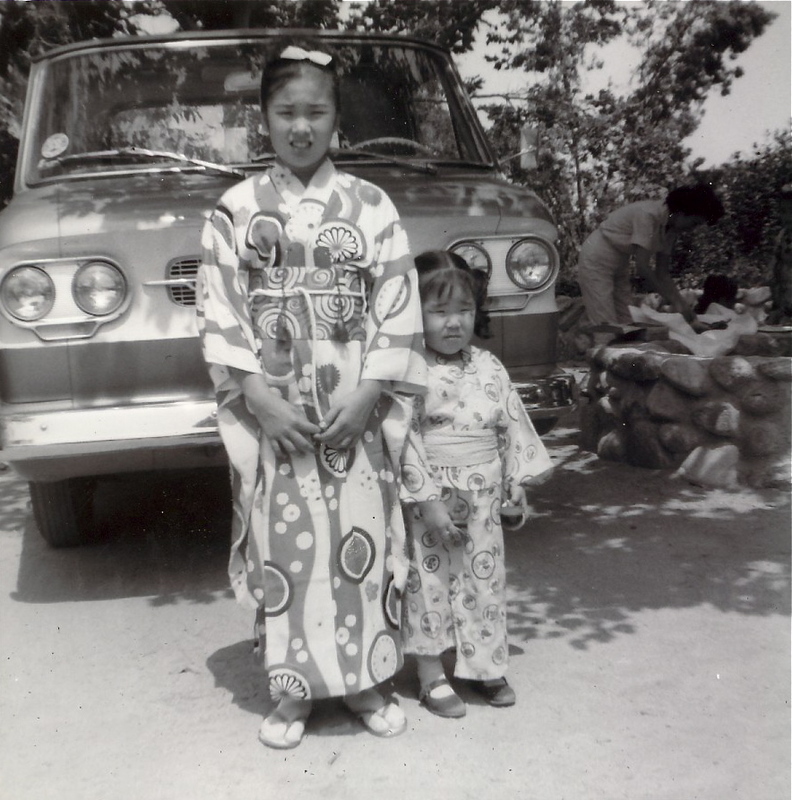 Mary Hatakeyama is one of those people--an icon in our Japanese community. Thank you, Mrs. H, for giving so much of yourself to all of us when we were growing up. Our lives are so much richer because of you. 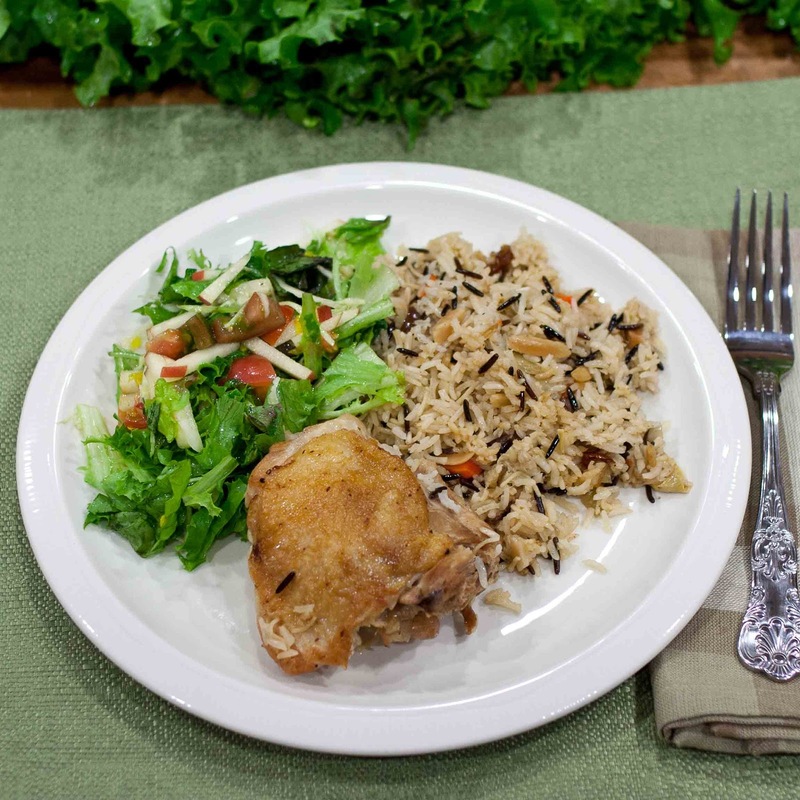 Brown the chicken on both sides in a tablespoon of oil and drain on paper towels. Drain the fat from the pot and discard. 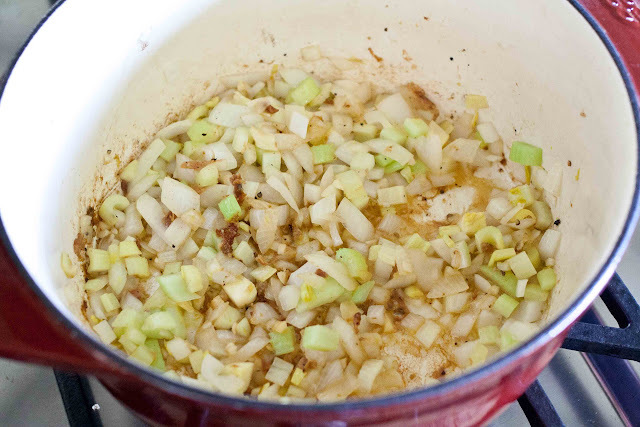 Add a tablespoon of olive oil and saute the onion and celery until wilted. Add the white and wild rice and the envelope of Lipton's Chicken Noodle Soup--fry the rice for a few minutes over medium heat until lightly browned. Add 3 1/2 cups water, 2 tablespoons slivered almonds, 1 cup marinated artichoke hearts cut into bite-sized pieces and 1/4 cup sliced pimento stuffed green olives. 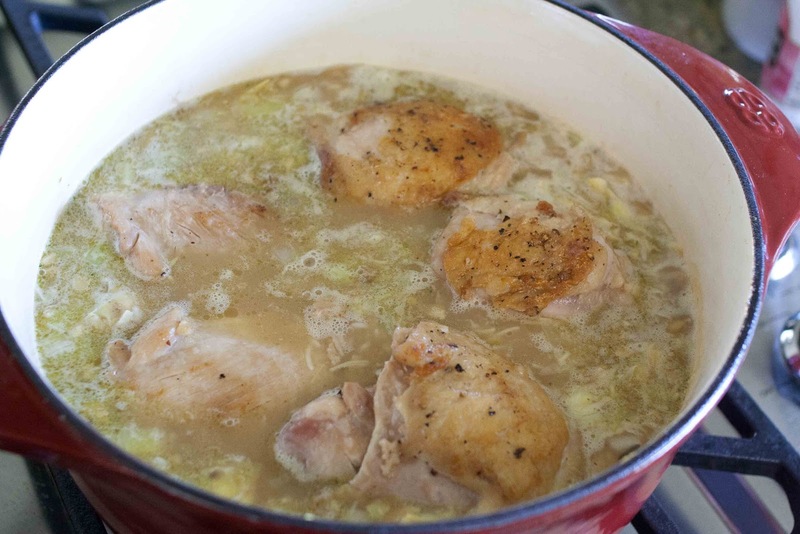 Bring to boil and place the chicken on top, cover, reduce heat and simmer on low for 45 minutes. Turn off heat and let steam for 10 more minutes. 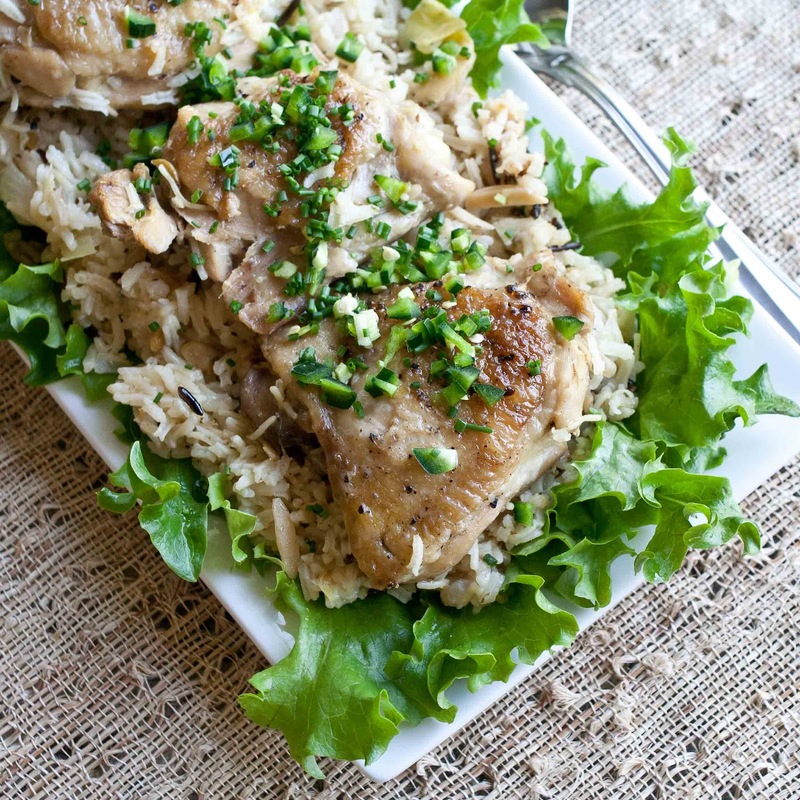 Garnish with chopped chives, parsley and/or jalapeños. It looks delicious, Karolyn! Extra delicious with jalapeños! I like the photos of you and your friends in those beautiful kimonos. Nice memories. What an amazing post, Karolyn! I loved your presentation and all those pictures!